After buying a huge collection, and dealing with a bunch of other stuff in life, I found myself just last week for the first time, wondering if I should even go to the show this past weekend. I met Jose Canseco last time … how can I top that? Short answer: it can’t, and … it didn’t. As a matter of fact, Friday was probably one of the weaker shows I went to. I still had fun though. I brought a few boxes of unopened cards to wheel and deal with. Within 5 minutes of walking through the doors, a few dealers bought 4 off of me, so that was pretty cool. 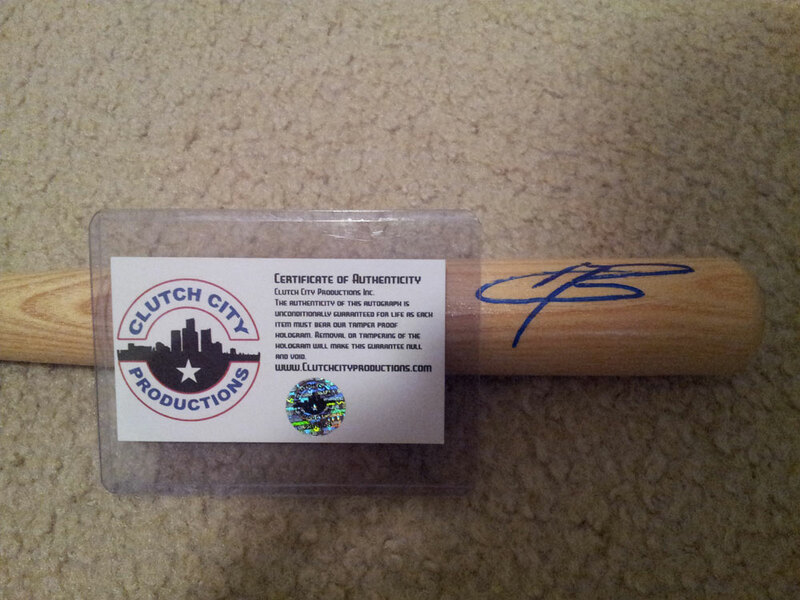 A little further in, I saw these mini Jurickson Profar bats that were autographed for sale. I picked up all six of them. 5 minutes later after walking around a bit, I was able to sell 5 to another dealer for $20 more than I paid for all of them, so that basically paid for my parking/ticket to the show, plus I got a free Profar autographed mini bat out of it! I got a kick out of that, because it was the first time I remember flipping something from one table to another since I was a kid. 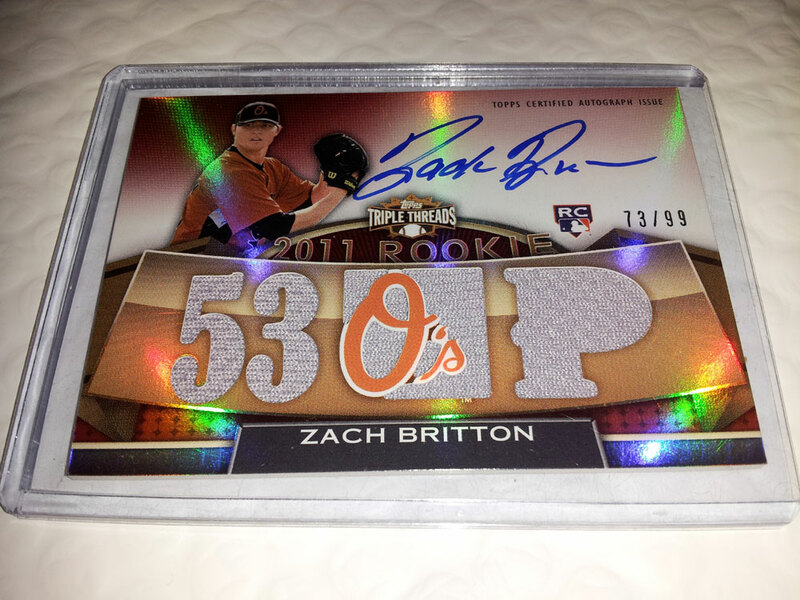 Moving along, I picked up 80 autographed prospects for cheap, as well as this nice Triple Threads auto/jersey of Zach Britton. I’m a sucker for TTT’s! 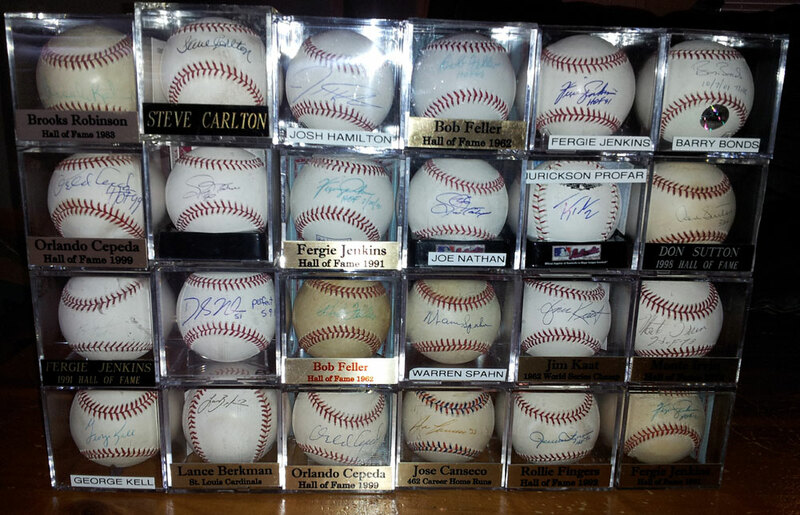 A dealer who I do lots of business with actually had brought 26 autographed baseballs. One was of Barry Bonds, one was of Jose Canseco … on a ’99 All Star game ball, one was of Jurickson Profar, a Josh Hamilton, a Lance Berkman, and there were several hall of famers like Bob Feller, Orlando Cepeda, Warren Spahn, etc. Again, we just couldn’t come to a price. I told him I would visit him again on Sunday if he hadn’t moved them to see if we could do anything. I got both these puppies for $13. 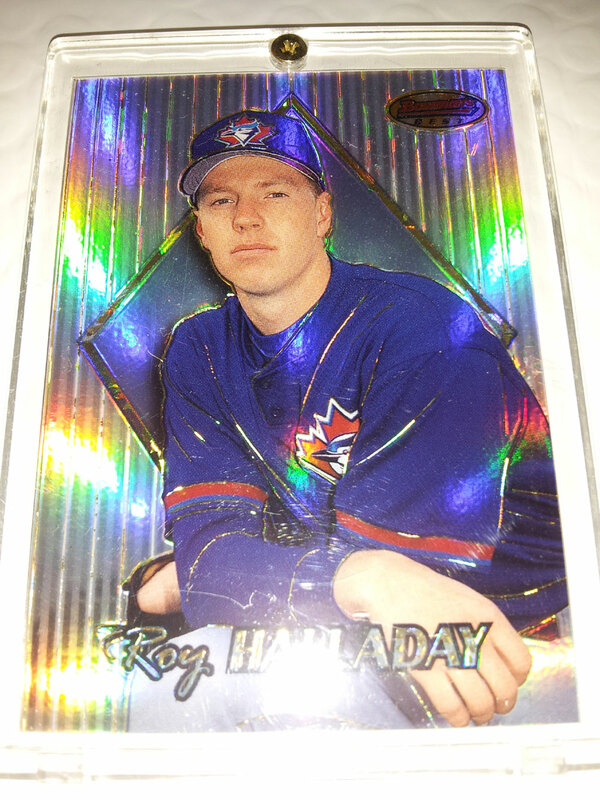 The T206 just sold for $40, and the Halladay … the only other one besides mine online is for sale for $200 obo. I’d say I did pretty swell on those two pickups! 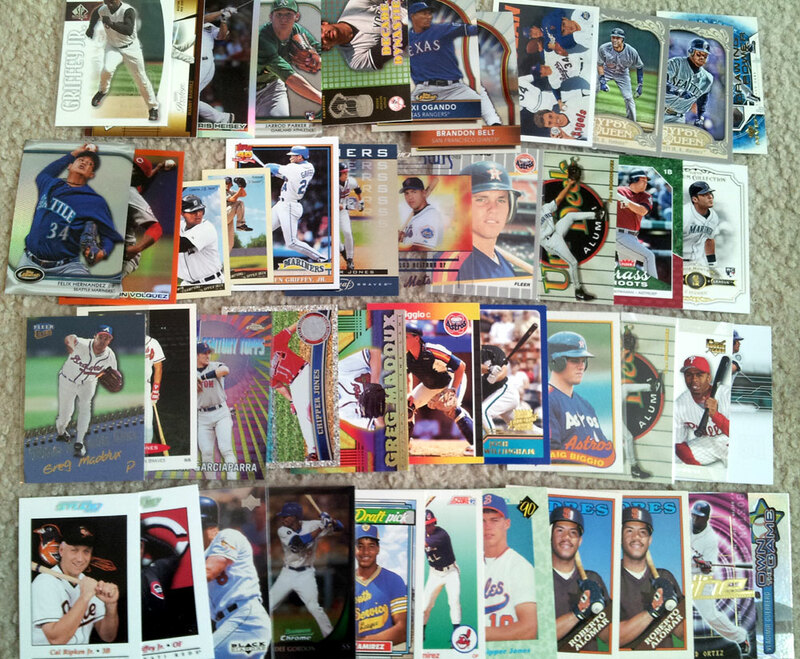 Saturday, no card show was to be had for me, because I was wrapped up from morning to night with birthday parties for my son. The next morning, it was storming but I was not going to let that deter me from an afternoon of cardboard bliss. But then, my car had other ideas. When I was down the road, the battery light came on. With it storming, I thought it would be smart to go back and pop the hood to see what I could see. Yup, battery corrosion and lots of it! I decided to feed it some diet mountain dew, and go on my merry way. I made it there, and was happy I was able to. I brought a few more boxes to deal with. 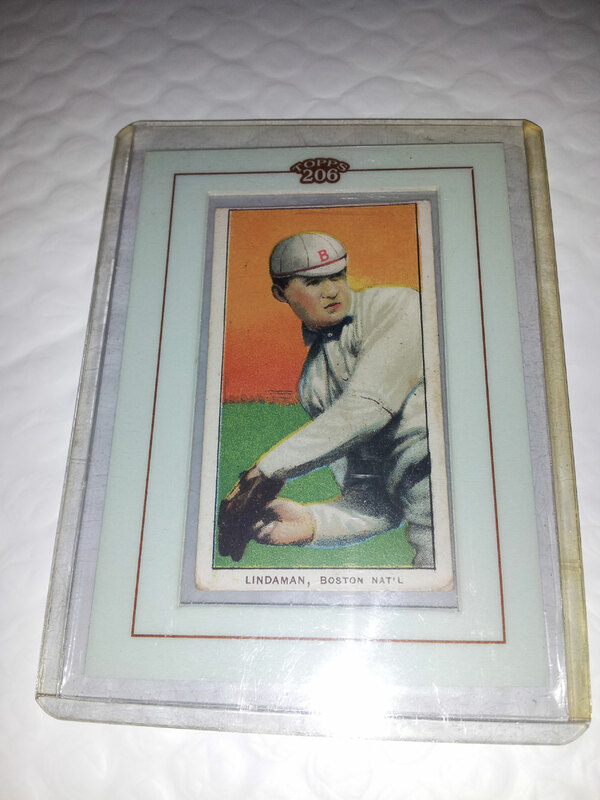 I was sure selling a few of my ’08 Goudey and Masterpieces would be a hit with a previous customer, but he passed. I then asked if I could dive into his quarter boxes and grab around 100 for an unopened 2007 Upper Deck retail box and he agreed. Here is what I pulled out. I was very happy with the swap! Part of me felt like I had not invested my time wisely sitting pulling out tiny cards like these, but this is kind of my wheel house. I love the Shaq classic rookie, the King Felix finest refractor, the Arod and Biggio rookies, the classic Chipper rookie, etc. I stopped at the dealer with the baseballs. He said he sold one, so he had 25 left. We made a deal! Here is what I got. 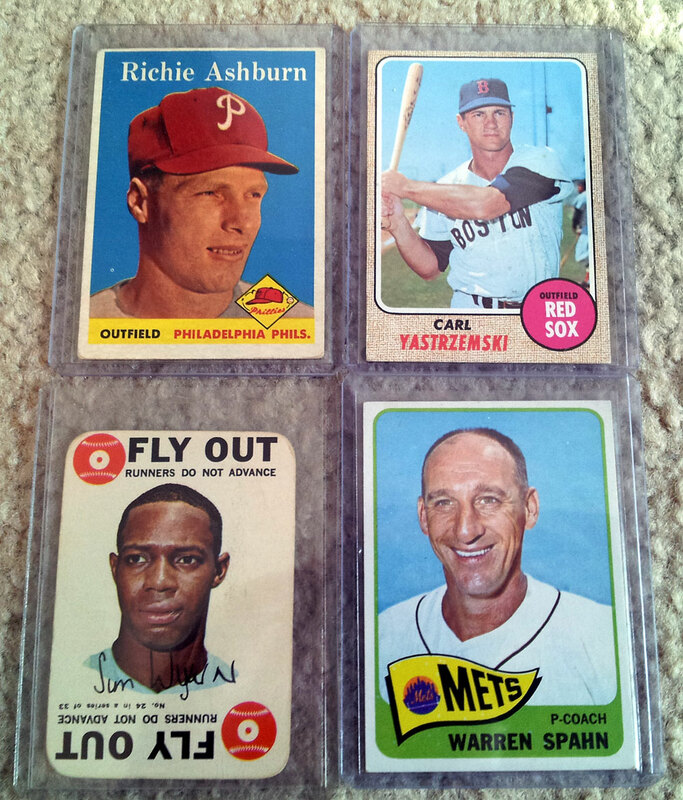 Moving on, I hit a few places and dug to get some cheap cards that I loved. One in particular … the purple Stanton! Hurray! Such a purty card. As well as some vintage goodness. What is not to love? 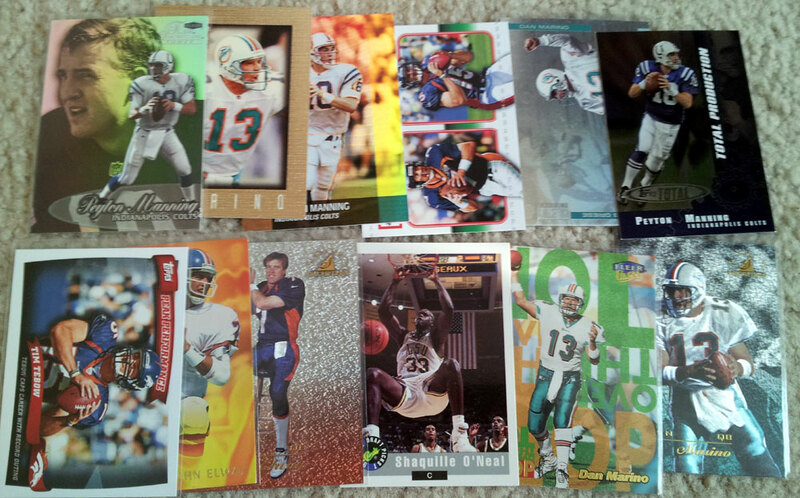 Some hall of fame vintage cards, and some new shiny goodness. 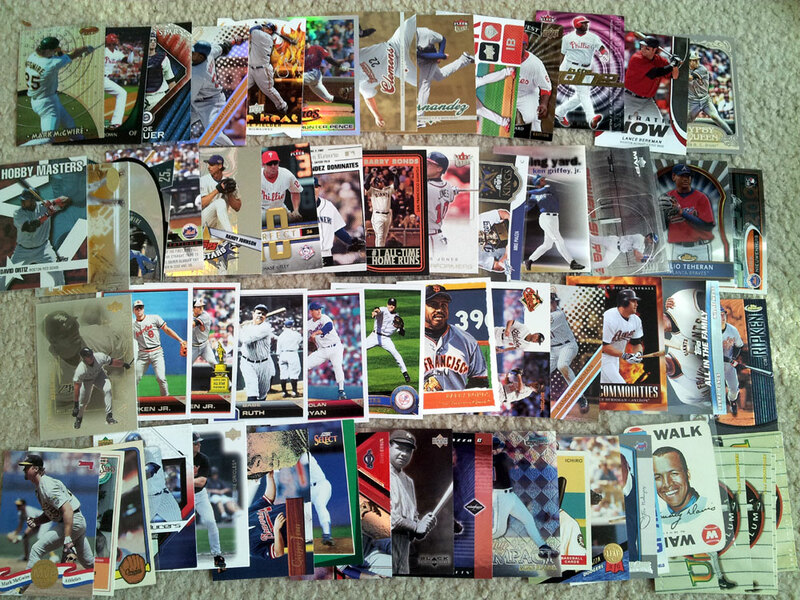 I love the Stanton, the Rizzo purples, the ’13 Topps Griffey/Ripken inserts and the Chipper orange refractor oh-so-much. 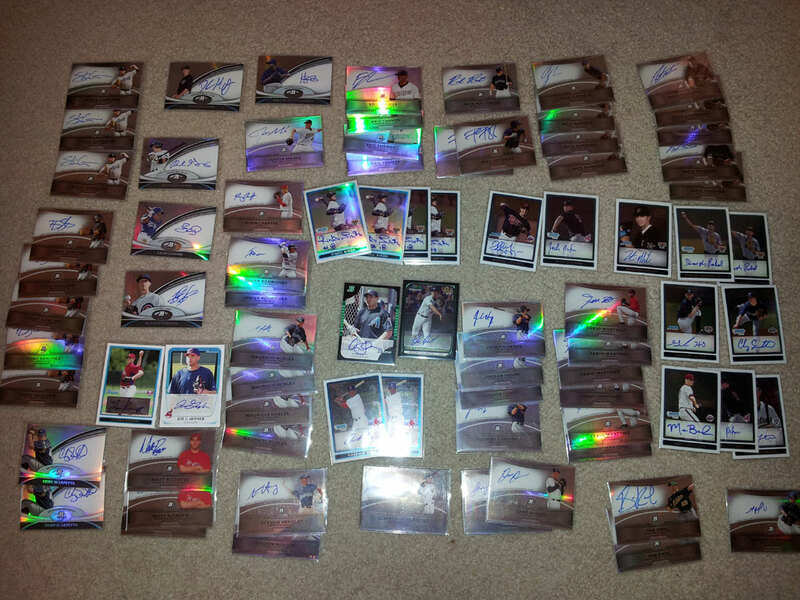 I went back to the place where I got the Profar bats, and noticed they had a bunch of lower dollar 8×10 autographs. I was able to buy 97 of them total, but that wasn’t all. I had a good conversation with the owner, and they said they brought in Jose Canseco to do a private signing. Let’s just say, it was intriguing enough to me, that I may consider doing that myself in the future. Stay tuned! At the end of the show, I went to dive in the quarter boxes of another dealer I know, so I could trade a box of 2007 Upper Deck. 100 cards. I told him I think I can find enough stuff I want for 2 boxes worth if he was game. He said yes, and I was quite happy. That stopped me in my tracks. Should I really be satisfied with walking away with just 2 handfuls of cards for 2 boxes, or should I offer him all 6 of the boxes I brought (’07 UD, ’08 Goudey & ’08 Masterpieces) plus some cash to wipe him out of his quarter stuff? DUH! Go big, or go home, baby! And I did both. I made my pitch, and he accepted. I requested the use of his trolley to haul my newly acquired batch to the car, after I made one pit stop to the dealer who was holding the autographed baseballs for me. He brought up his quarter boxes also, and after talking a while, I was able to get him down to less than half of what he was asking initially, so I wound up taking home everything. 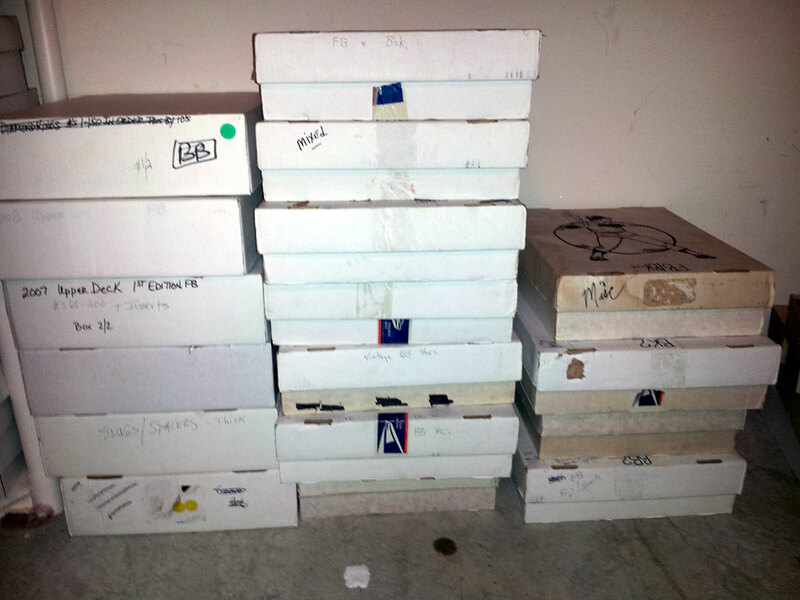 It’s not as if I didn’t have enough already, heck – I still have 20 boxes left from the same dealer from the last show! I was able to make really good money off them though, and that is why I am such a sucker for these quarter boxes. All in all, it ended up being a good show – the last 5 minutes ended up being the most action, in terms of quantity, but I really did have fun…as always!